In downtown Riverside CA there is a several block area where Main Street is a pedestrian-only street, no cars allowed. There are shops, restaurants, and other businesses along Main Street. There is also quite a bit of public art. One of the pieces I photographed the other day is this, titled Si Se Puede!, (Yes we can!) the "battlecry" of the migrant farm workers during the 60's and 70's in California. 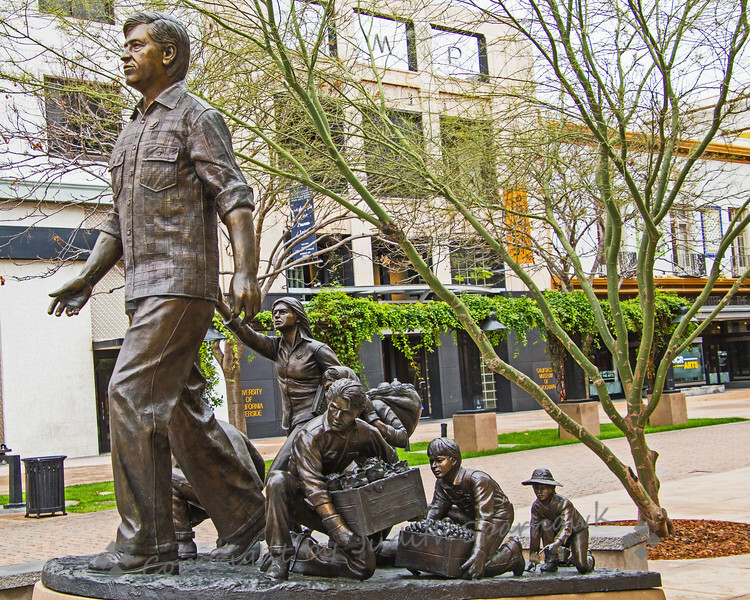 This shows farm boycott leader, Cesar Chavez, with sculptures of various poses of migrant farm workers. The aim of the movement was to bring humane standards and rights to the workers.